Building Resilient Communities. One Solution at a Time. Resource Solutions Associates, LLC is a planning and consulting firm located in Norwalk, Ohio. Since 2007, we have worked with county EMAs, health departments, hospitals, schools, businesses, and public safety agencies across Ohio and beyond to develop comprehensive and actionable emergency plans that meet local needs. We specialize in whole community planning that engages stakeholders and brings partners into the process, resulting in a functional plan that complies with all regulations and guidelines. Plans shouldn't just sit on a shelf. Let RSA work with your organization to create a plan that doesn't collect dust! RSA provides a wide range of planning and consulting services. 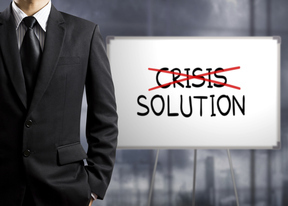 Our solutions are customized for each client to meet the unique challenges in each community or organization we serve. Outcomes include feasible, affordable solutions, usable operations plans, and effective training programs. 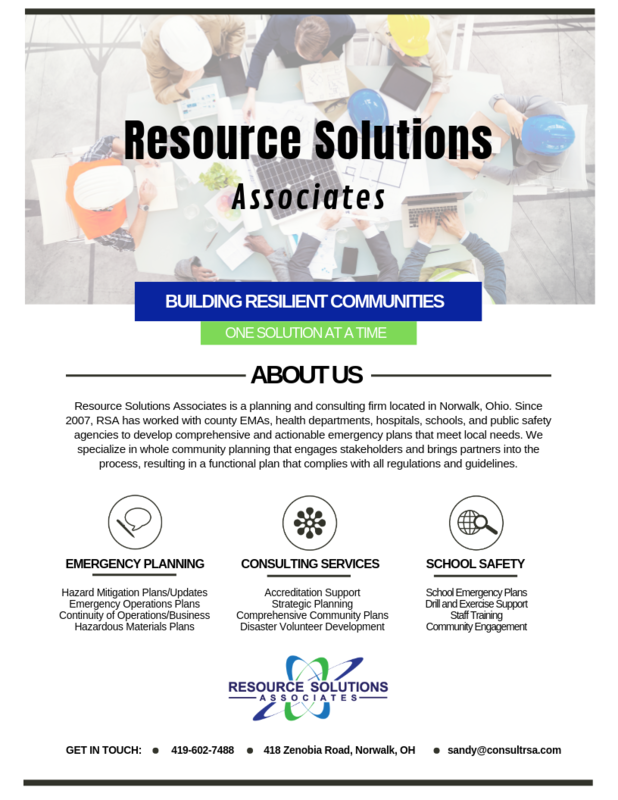 By combining long-term field experience with technical skill and knowledge, Resource Solutions Associates can help your community create sustainable answers for long-term resiliency. Contact us to discuss your needs and to request a customized quote!